Hi! 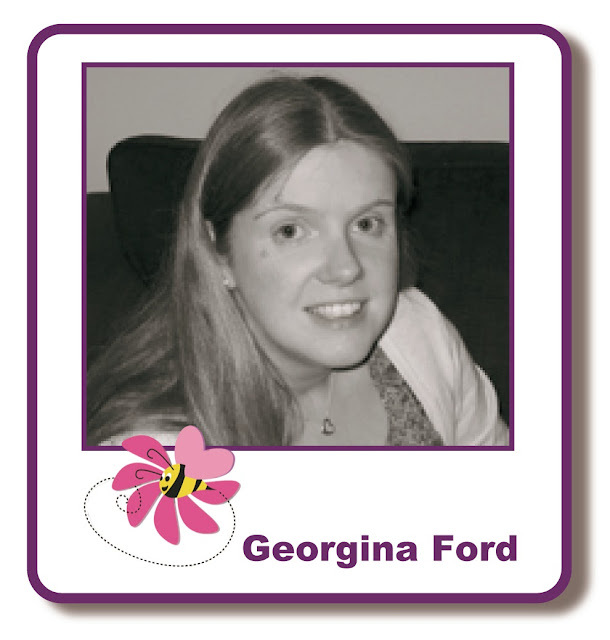 It's Georgina with my Thursday blog post. Today I have a clock to share with you. The clock base is Tando Printer Tray Style clock available from Lisa B Designs. 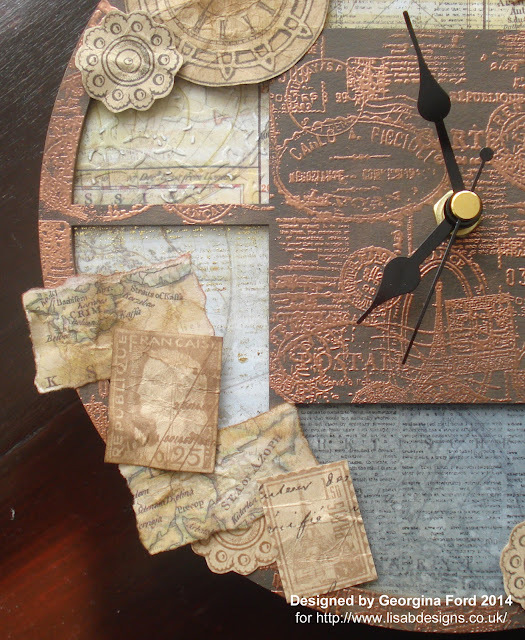 To decorate this clock I started by painting the clock with dark brown acrylic paint. Once dry I stamped Kaisercraft Postmarks clear stamp with a VersaMark ink pad all over the front panel only. I then heat embossed the stamped images with WOW Metallic Brass embossing powder. 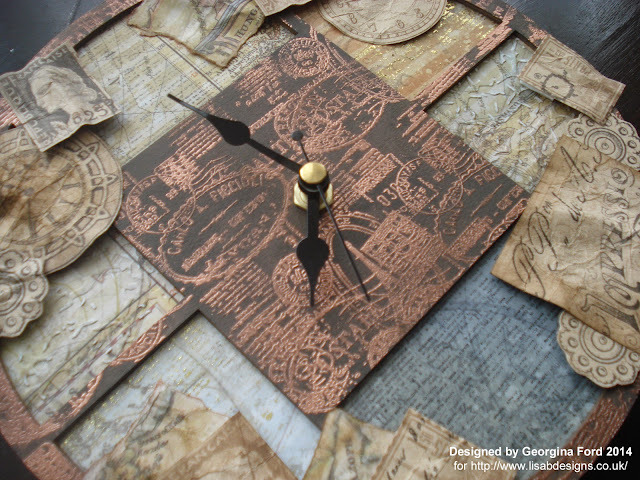 Before attaching the front and back of the clock together I attached panels of patterned paper behind each panel of the clock front. I used sections from Kaisercraft's 12x12 Map and Now boarding collection luggage carousel papers. On some of the panels I stamped Kaisercraft's Dictionary Meanings clear stamp and on other panels I embossed them with a Crackle embossing folder before attaching them to the clock front. 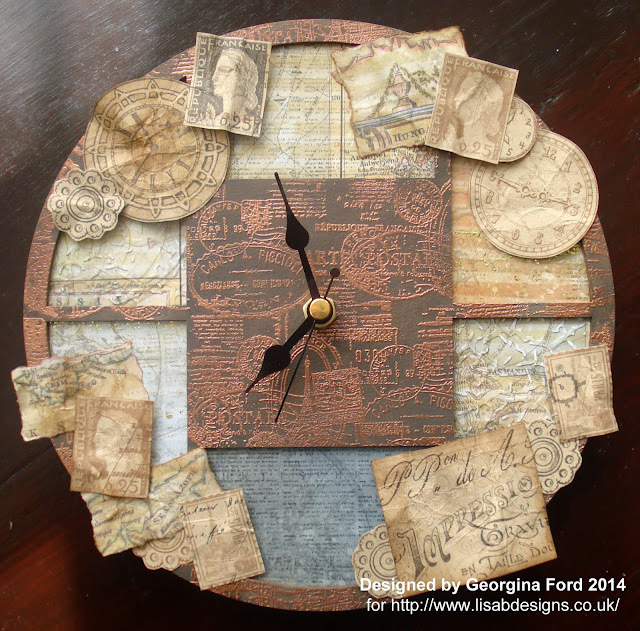 To finish the clock I cut out and added stamps, clock and buttons from 12x12 Graphic45 papers. The papers I used were Before your time and Glimpse of Paris.